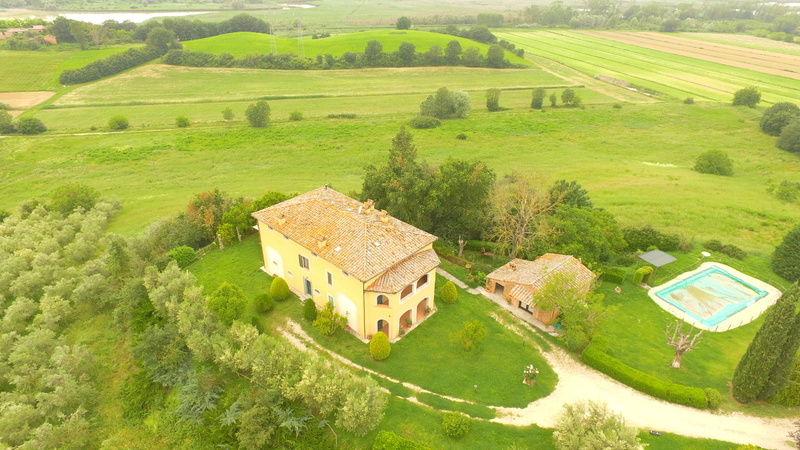 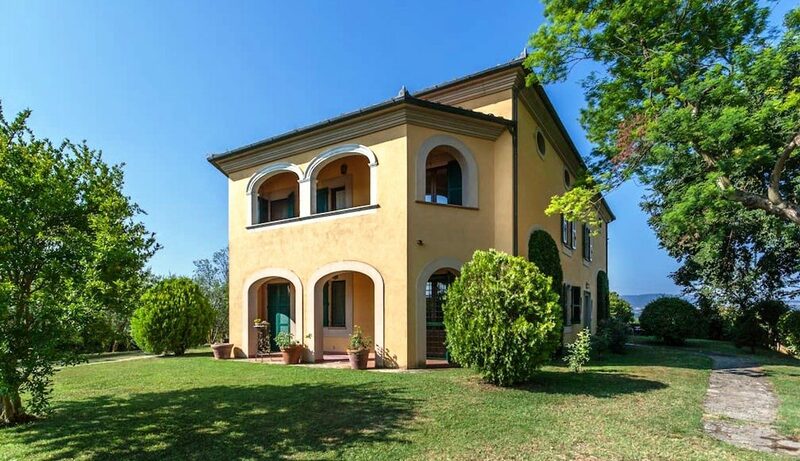 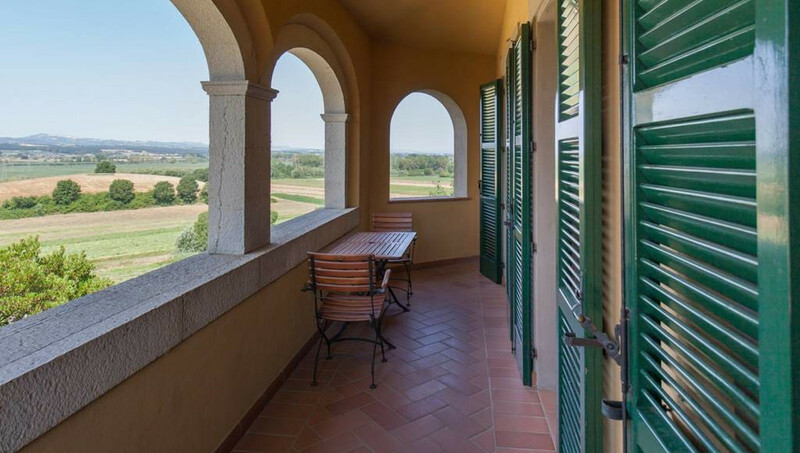 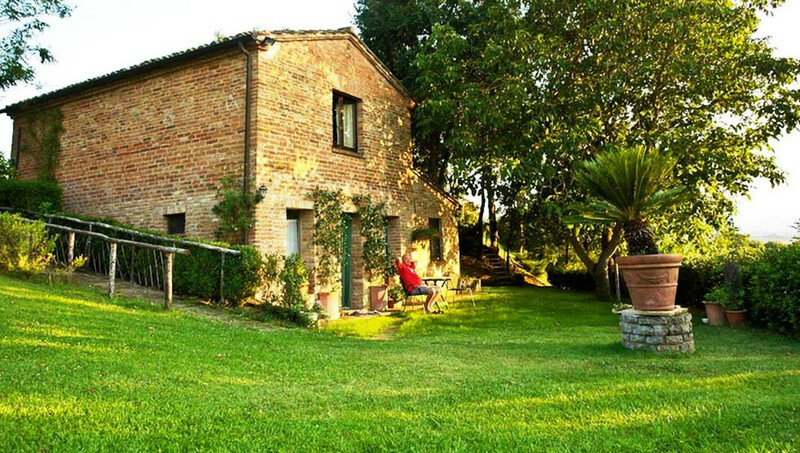 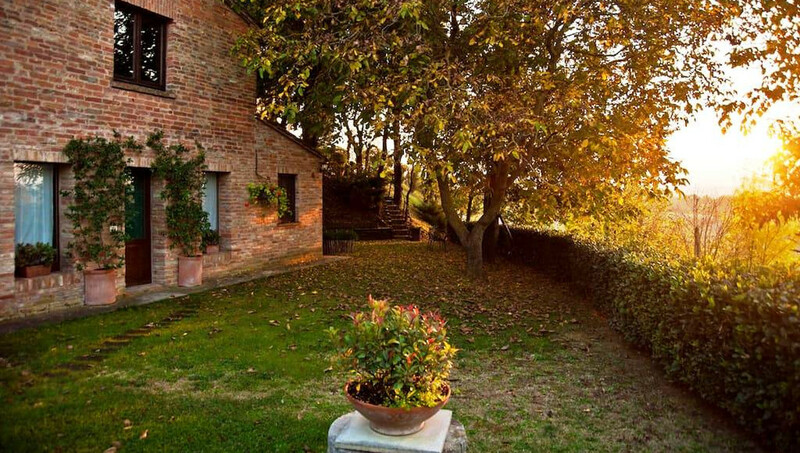 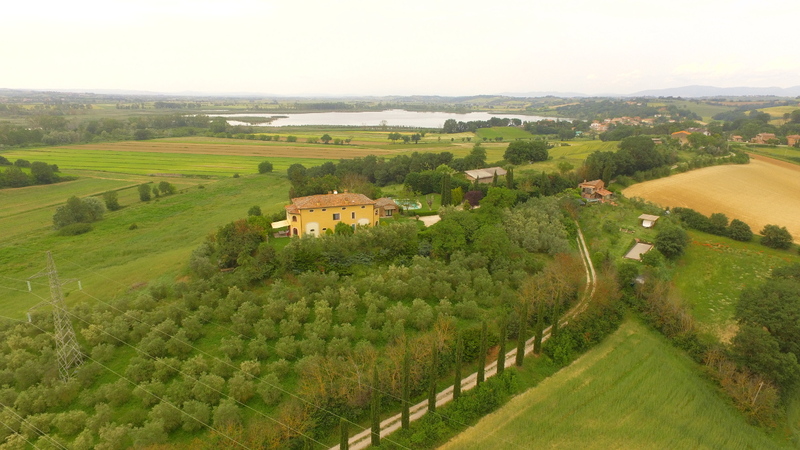 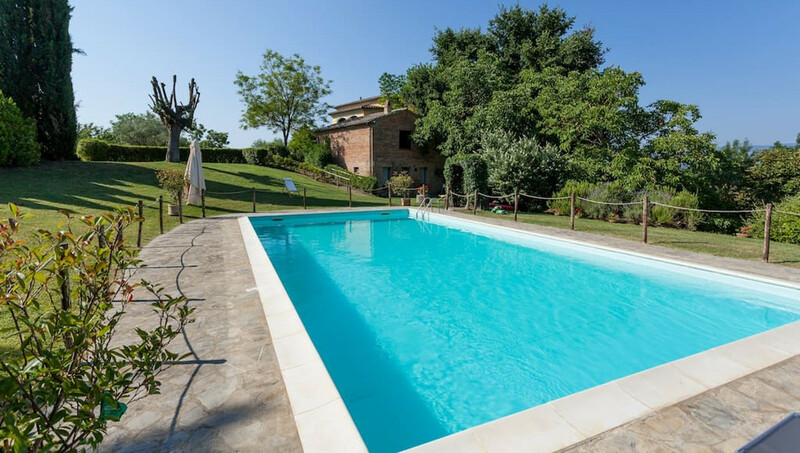 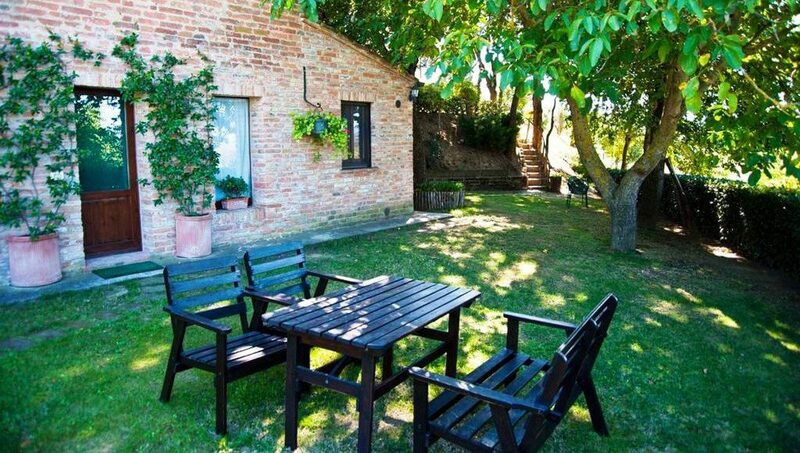 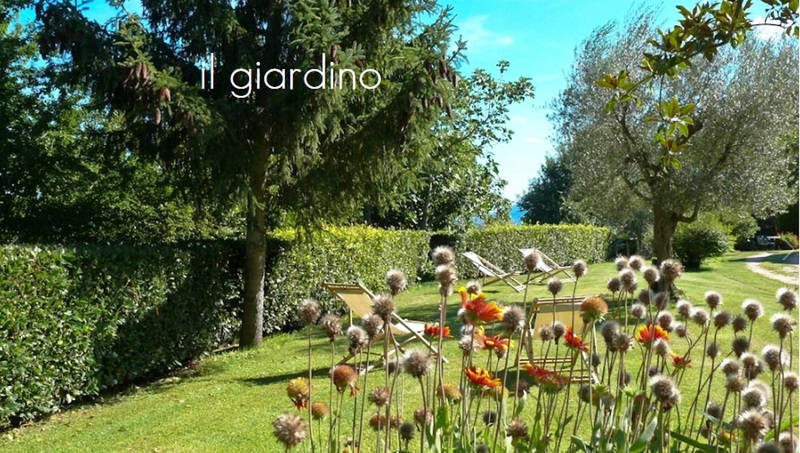 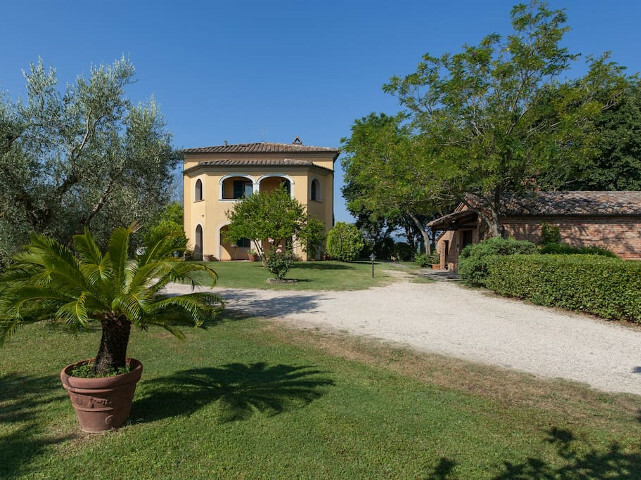 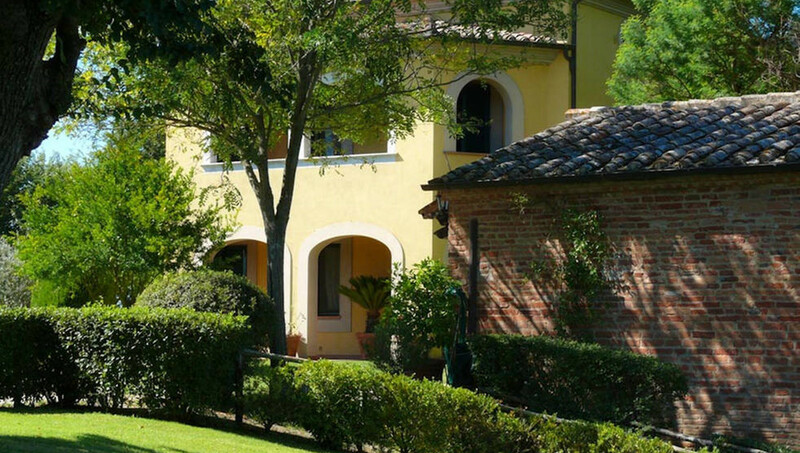 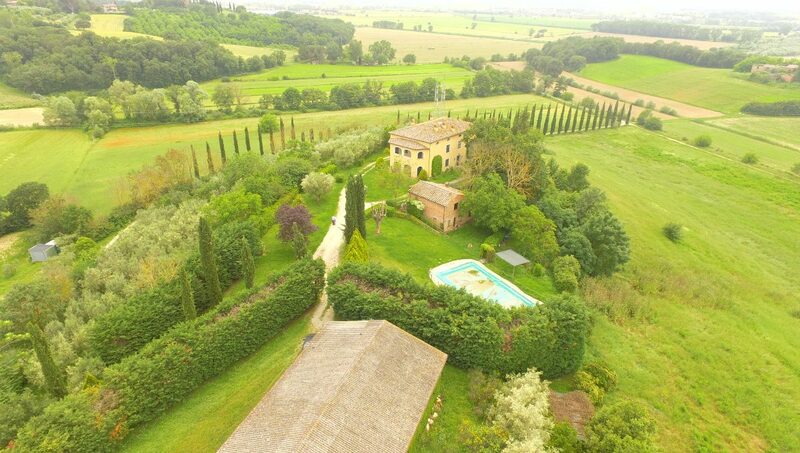 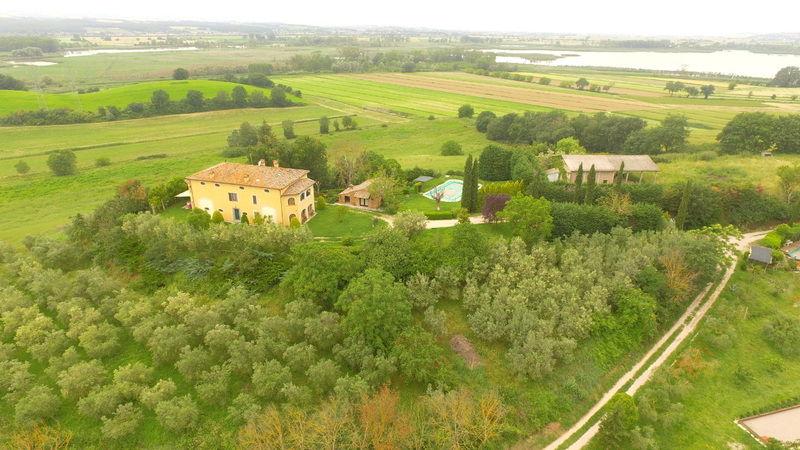 This Estate is located on the border between Umbria and Tuscany, in the green countryside of Lake Trasimeno. 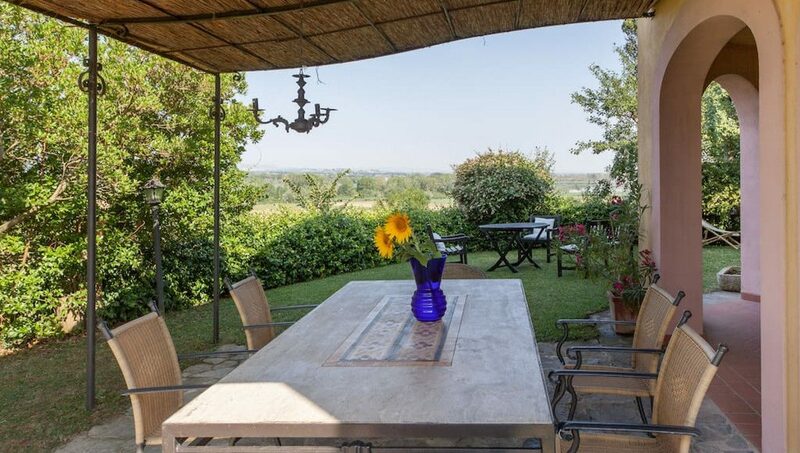 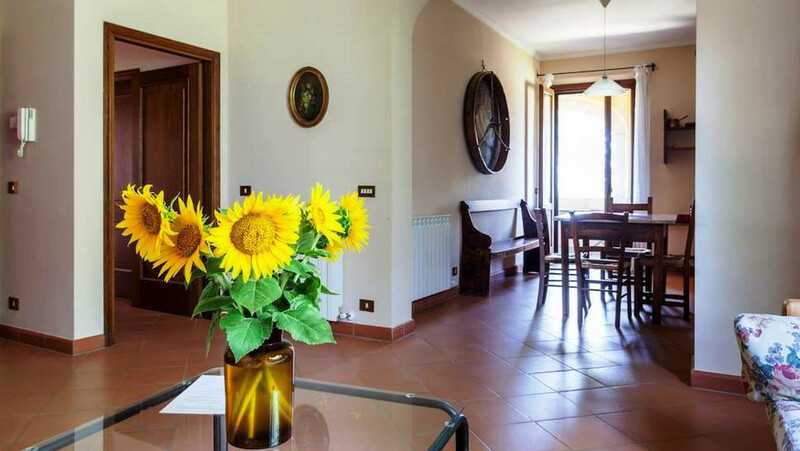 On top of a hill, the farmhouse overlooks the lake and is surrounded by 14 hectares of land, 5 of which are for gardens and the remaining part is cultivated with sunflowers and olive trees. 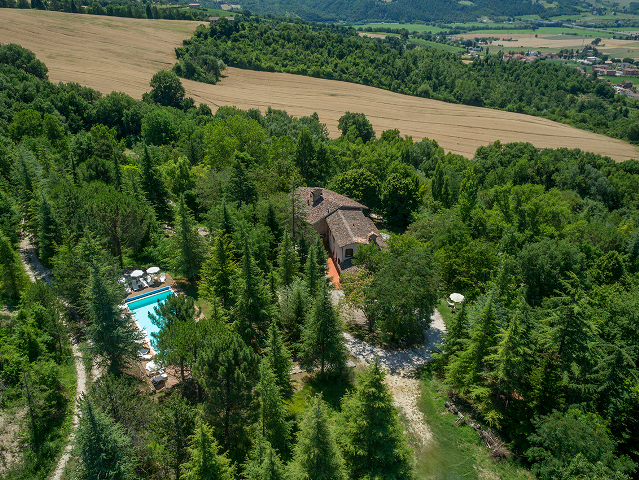 In the garden the swimming pool enjoys a wonderful panoramic view of the valley below. 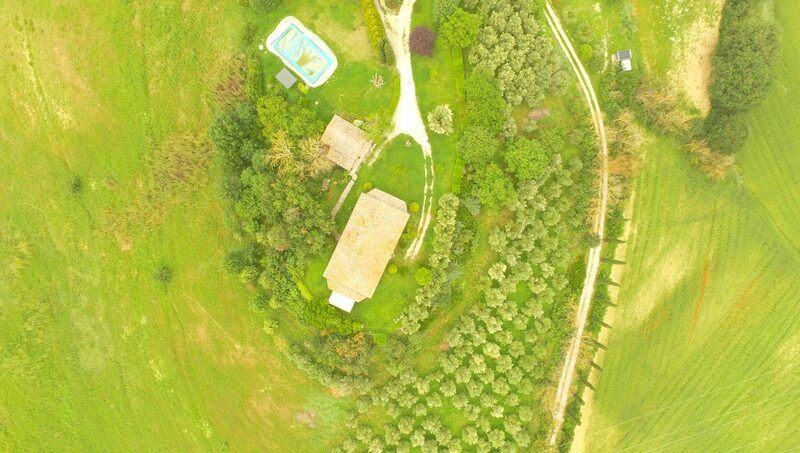 Also on the property there is a wood. 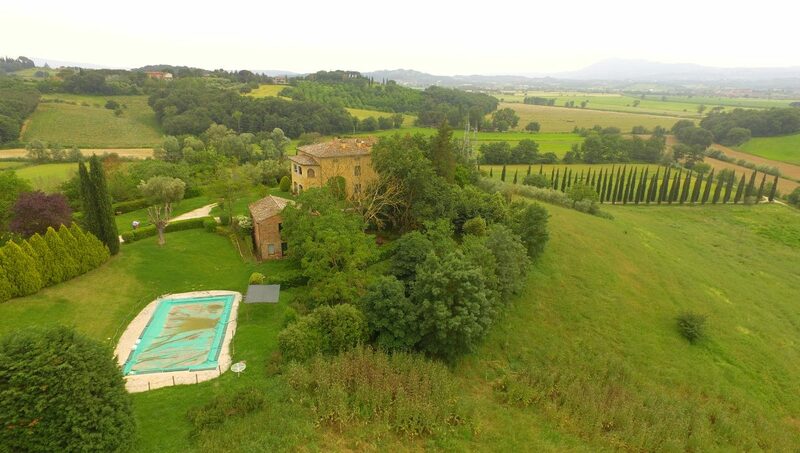 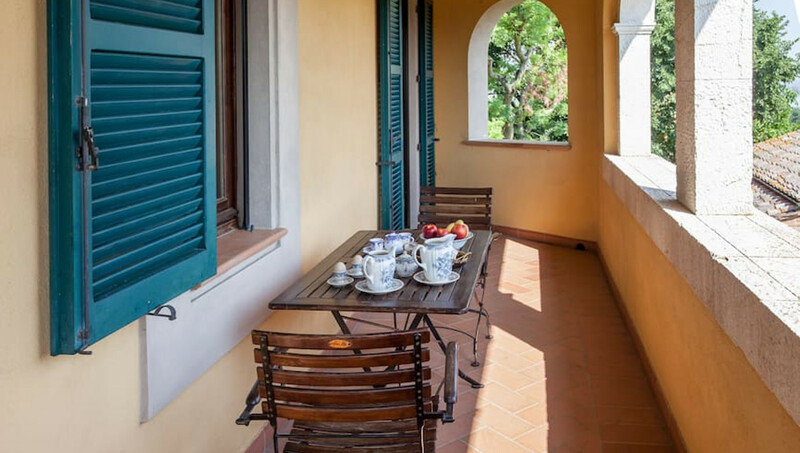 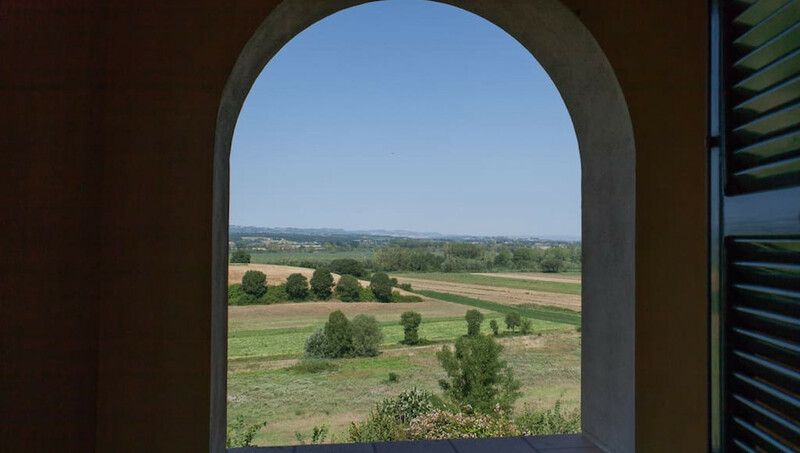 The farmhouse was all renovated in 1996 respecting the tradition of Umbrian-Tuscan mansions with arches and panoramic balconies. 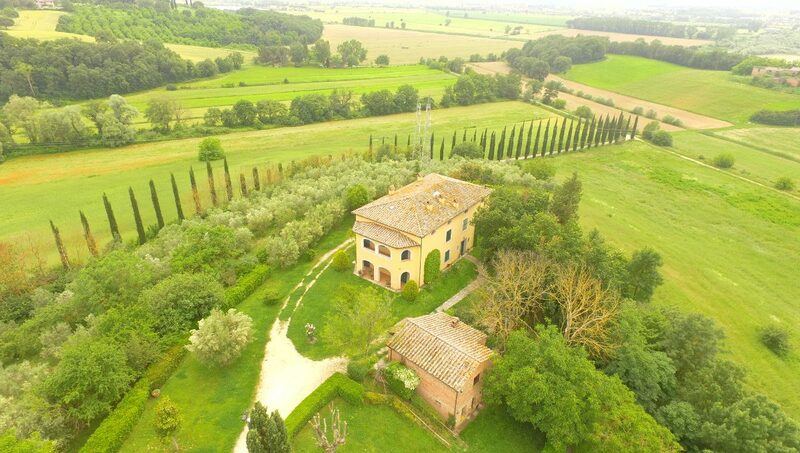 The central body is spread over three floors of 200 square meters each for a total of about 600 square meters covered. 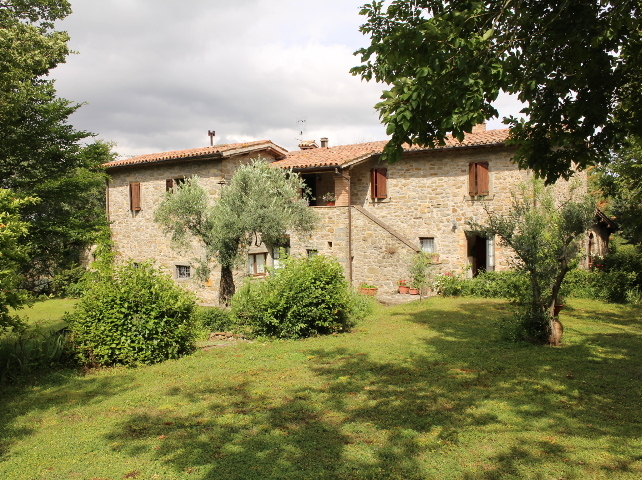 On the ground floor of the farmhouse there is a first apartment. 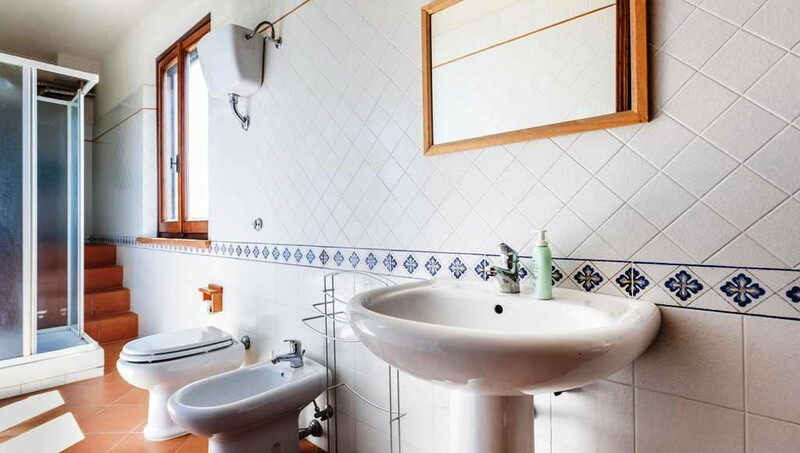 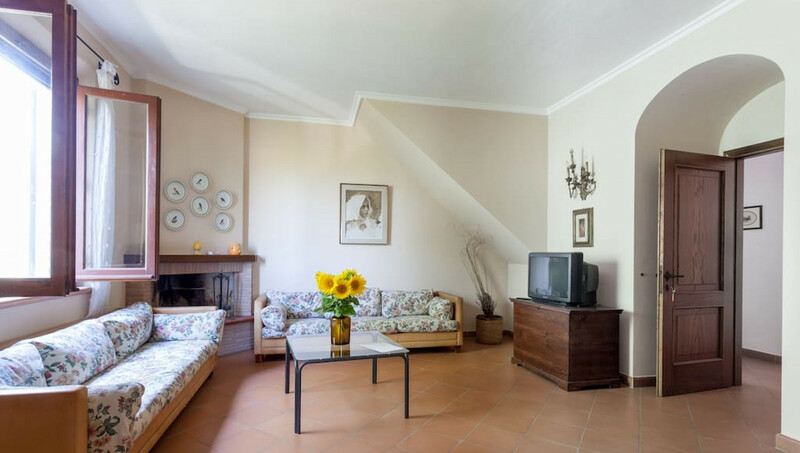 Two other apartments are located on the first floor and both are independent and accessible both from the outside and through an internal staircase. 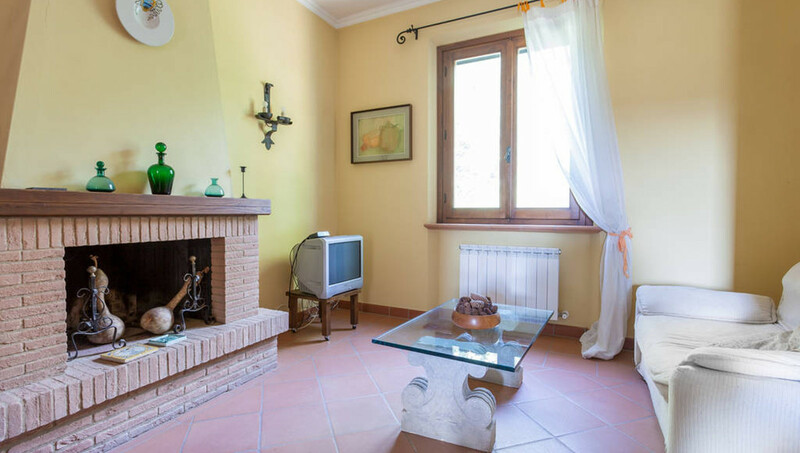 -APP.A consists of two large bedrooms (1 double + 1 twin), bathroom with shower, kitchen and large living room with fireplace. 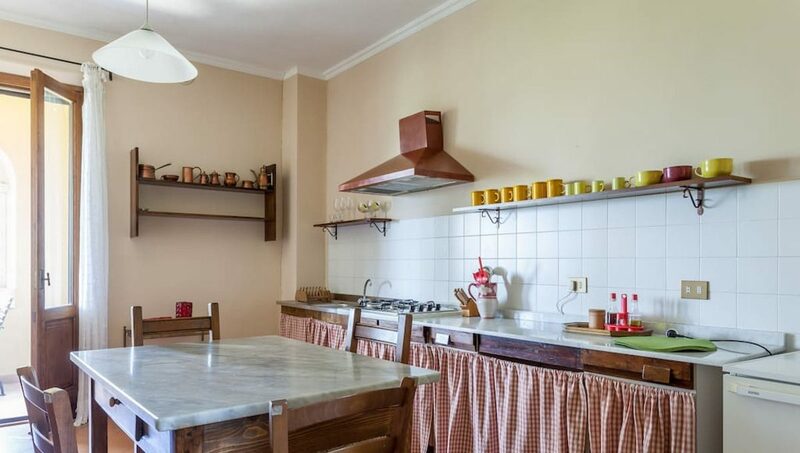 Autonomous heating. 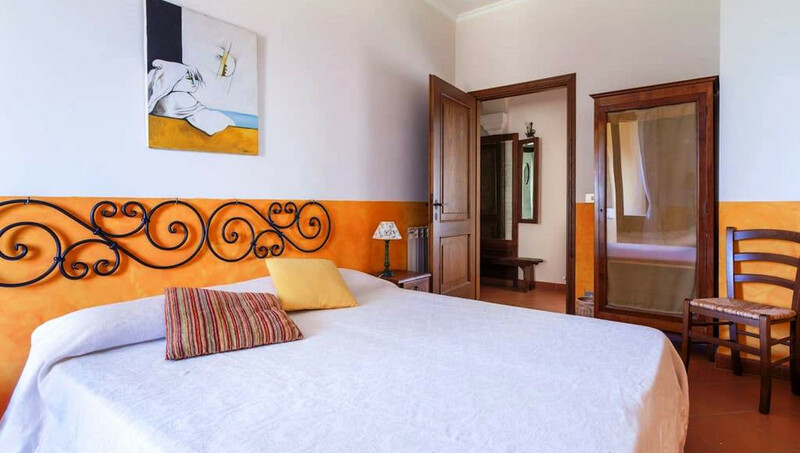 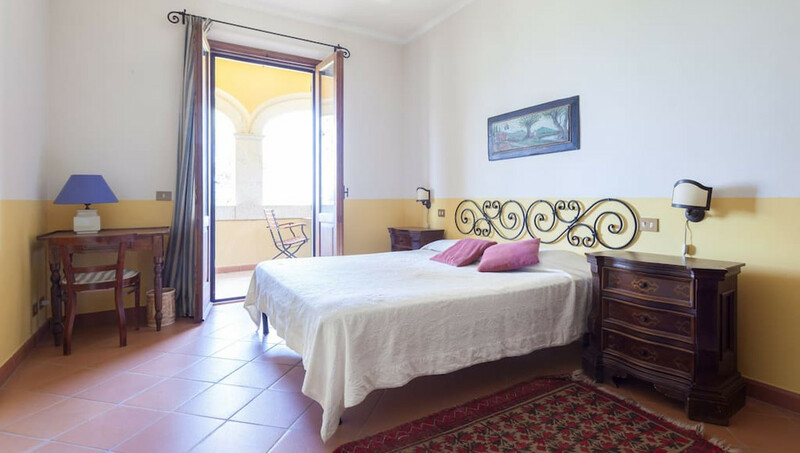 -APP.B consists of two large double bedrooms, bathroom with shower, kitchen and large living room with fireplace. Autonomous heating. On the second floor, an habitable attic with an independent external entrance, 4 bedrooms, 3 bathrooms and a living room. 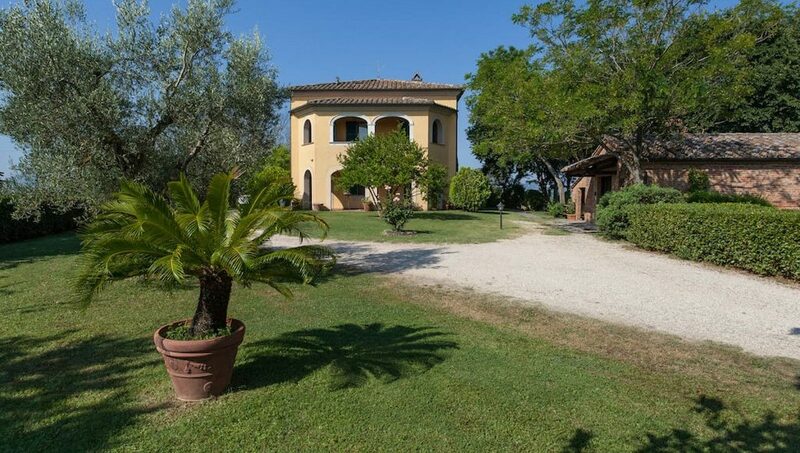 All the villa with full services can accommodate about 16 people. 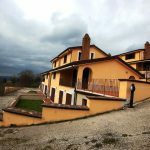 The dependance is divided into two floors of about 50 square meters each one and a part of the same is intended for the home of the caretakers. 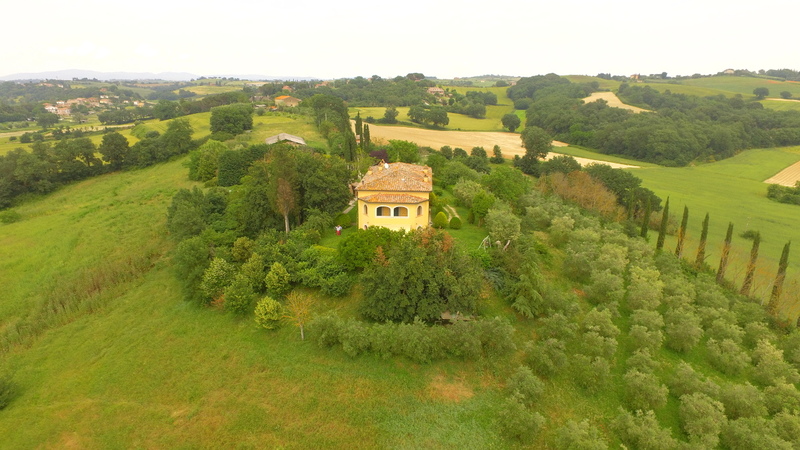 There is also a cellar with a portion of Etruscan cave of about 15 square meters. 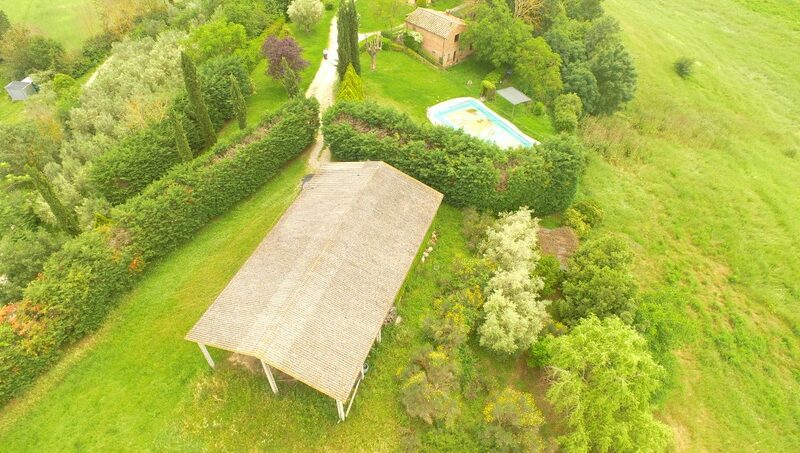 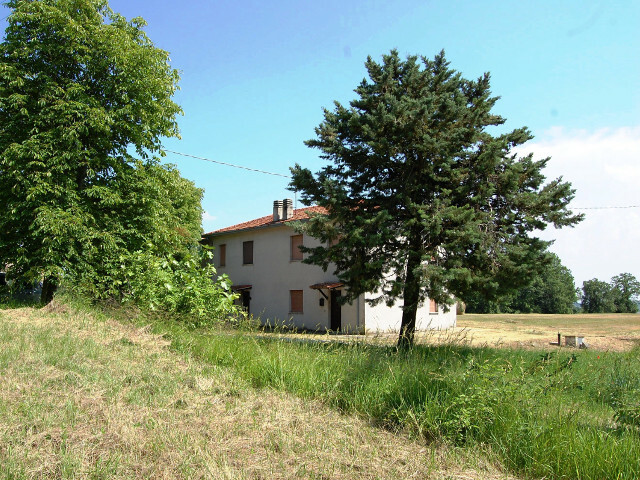 The property has an agricultural shed of over 300 square meters with a regular agricultural building permit. 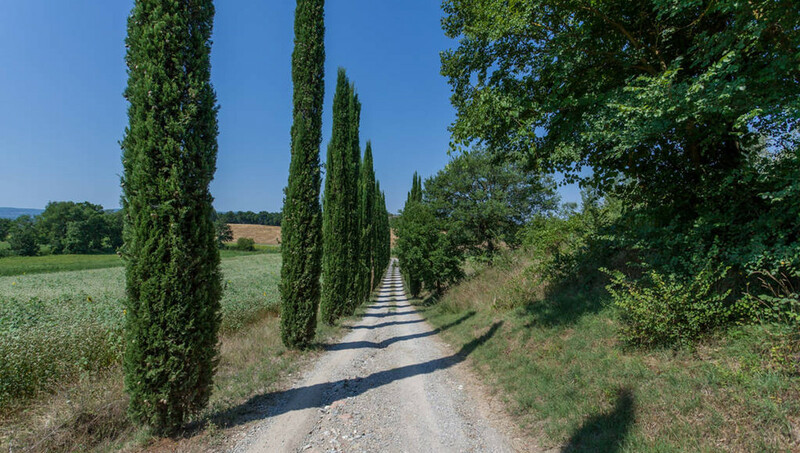 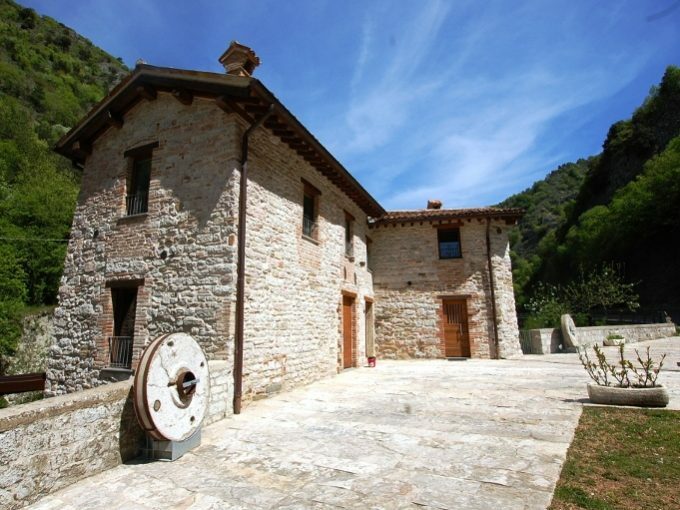 The estate is the ideal starting point to discover the most beautiful places in Umbria and Tuscany such as Pienza, Città della Pieve, Montalcino, Montepulciano, Cortona. 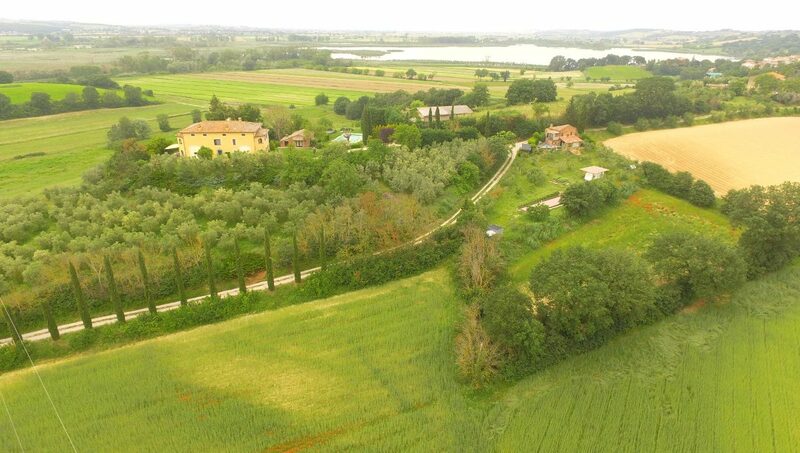 The naturalistic oasis of the WWF can be reached on foot in a few minutes (500 meters).